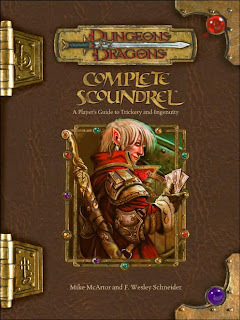 Notes: This is actually one of the many sourcebooks for the Dungeons and Dragons 3.5 role-playing game. I haven't done any gaming in several years, but every once in a while I pick up one of the gaming books for story ideas, to relive old adventures and just for something to read. Some of the gaming sourcebooks make pretty interesting reading. Mini review: Eh, nothing real special. A few new classes, a few new feats, but most of it I felt like I had read before. Notes: I had this book signed by Salvatore about a year ago at a bookstore, and I'm just now getting around to reading it. I've been needing some decent fantasy to get me back into writing again. 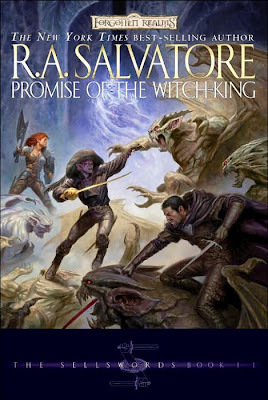 Mini review: Not Salvatore's greatest writing, though it has my favorite characters of his. The whole book feels like it's straight out of someone's Dungeons and Dragaon's campaign, which is unusual for Salvatore's work. I've done absolutely no writing for at least a week now. That's the longest I've gone in two years without writing something. I have managed to do a little editing on the third book in my trilogy, but not much. I do sometimes manage to squeeze in an hour of reading every few days, but I've not had much access to my computer of late to get any writing done. I have, however, been carrying around a few mechanical pencils and a notebook. So, hopefully, I'll get some short stories in that notebook to keep my hand in things. I've just been so busy moving and working and looking for a new job, that I just haven't had time to write. I'm really hoping a new job will allow for better hours than what I've had the last few years, so that will give me more time to write. Regardless, I'm not giving up on the dream. If anything, I'm only delaying it for a little longer. Besides, the first novel has been sitting in the slush over at Baen for six months, and it will probably be there at least another six months. No big hurry, I figure. Meanwhile, I'll keep reading, and posting online here and at others' blogs. It makes me feel like I'm at least doing some promotional work as a writer, just by keeping my hand in things online. It might take a few more weeks, but eventually things should fall into place for me. I practically grew up in a hospital, though I was rarely sick or injured badly as a kid. My mom worked at a hospital for 23 years, all my childhood and teen years. She was a single parent during most of those years, so I often had to work my schedule around hers, at least until I was old enough to drive and could afford my own wheels. I spent hours and hours at that hospital, especially on weekends, because I was stuck there while waiting for her shift to end. On weekends I was in a bowling league during my younger days, and later on I played soccer (football didn't come until late in high school). My bowling alley was only about a mile from where my mom worked, so when my league was done at noon I would walk to the hospital and wait for her to get off at three. When I played soccer, I usually had someone drop me off at the hospital after a Saturday morning game, and again I would wait for my mom to get off work. Then, in my teen years, my mom was injured badly and suffered from a cracked disc in her neck. There were several times she was stuck in a hospital bed for days on end, sometimes for a week or two at a stretch. The problems with the cracked disc never seemed to go away, no matter how much surgery she had (on a side note, that was then; now she's been free of pain and suffering from the neck injury for about 15 years). So, again, I spent plenty of more time in the very same hospital where she worked. Most kids would have hated those hours and hours to themselves. Me, I loved it. It gave me plenty of chances to read. Now don't get me wrong, I was often plenty worried when my mom was a patient, but even then the reading helped me to clear my mind and to temporarily get away from the nightmare that was an only child having to watch a single parent in pain ... and knowing there was nothing I could do about it but be there for her. So, I had plenty of reading time. And I didn't just sit in the lobby and read, because there were too many distractions. I also didn't read in my mom's room, mainly because I wanted to be able to focus on her when she was awake. No, I found little hidden, secret corners of the hospital in which to read. Most of the security guards and nurses knew me, so as long as I didn't try to venture into any place that was off limits for medical or security purposes, I could roam at will. Usually there was an available hallway, or cul de sac, that wasn't used much -- maybe it was an employees' exit, or a storage room rarely used. But I found those hidden niches, and I went off into worlds of my own. That's where I discovered Terry Brooks. That's where I discovered Don Pendleton and his Executioner series. That's where I found worlds where all the problems could be made right in the most simple of fashions, with swords and guns in the hands of men intent upon good. I realize the real world isn't that simple, and I'm not sure I would want it to be that way if it could. Guns and swords are deadly weapons, after all, and deciding who should live and who shouldn't is not an easy thing to decide (if it should be decided at all). But for a 14-year-old kid waiting for his hurt mom to get better, and knowing he couldn't do anything to ease her pain, it was a great time full of great stories. Notes: I've only read one other Grisham book, "The Last Juror," and found it okay. Not great, but okay. But in my quest to be informative about popular novelists, I picked up this book in hardback a month or so ago. Then I found out it's not a novel, but non-fiction. Oh well. I'll read it regardless. It's in my pile of books needing reading, so I'll get this one out of the way. Mini review: This is one of those books that can make your outraged at "the system." Worth reading, though I have to say I'm not a big Grisham fan. Notes: I've been reading this mystery author's Web site and blog for months, so figured it was high time I picked up one of his novels. 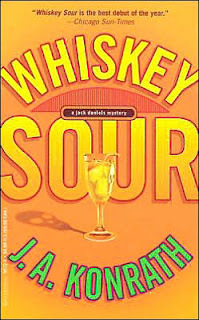 "Whiskey Sour" is his first published novel, but he had me hooked within the first thirty pages. Mini review: Not for the weak of heart, though not completely filled with gore. Has entertaining, funny characters, but also keeps a darker edge. Since I've found a way to do labels on blogger.com, instead of having a separate blog for the books I'm reading this year (and maybe years to come), I've added the label "Books Read" over on the left side of this page. Enjoy my notes. Notes: I was almost through with reading "The Prince," and wanting something a little less dense, when I ran across this book in a used bookstore. 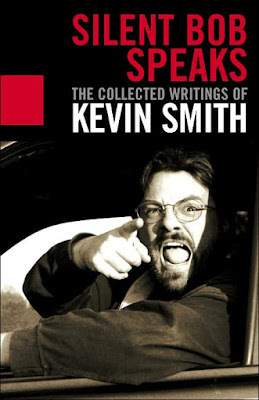 I like Kevin Smith as a person (as much as you can know anyone through the Web, their movie work, and Q&A sessions at various colleges) and I like much of his film work. I suppose I'm a fan, though I wouldn't call myself a fanboy. The only picks I have with Kevin Smith are these: I think Kevin has more potential than he's shown on the screen so far, and I think he sometimes goes too far with his twisted humor (the donkey scene in "Clerks II," anyone?). But hey, he's doing what he loves and making money for himself and other people. Good for him. Mini review: This book is a quick read, and just sheer fun. Fans should give it a look. Notes: Written around 1513, but not published until 1532, five years after the writer's death, this book is a political and historical classic I've been meaning to read for years. Stumbled upon in it a bookstore. The price was right. I snagged it up. Mini review: A short read, and definitely worth your time if you're interested in politics, especially politics during the Renaissance. Offers a different way of looking at politics, one that is not so common in today's world (or maybe too common, depending on your outlook). If you're writing about characters who are rulers, this book can help you get into their mindframe. Notes: Originally published in 1911 during the Edwardian era of England, which is of note since the author is British and spends a good deal of time writing about cricket in the first chapter. Not necessarily a "known" classic of speculative literature, but one of the first (if not THE first) novel with a focus on the idea of a super man (think Nietsche, not DC comics). Mini review: Worth reading from a historical literary point of view, but not overly entertaining. I've been reading on a few other blogs of late about writers who are proud of themselves for sending out hundreds of letters to literary agents. These writers are trying to find an agent to represent their writing work, usually novels, in hopes an agent will help them land a deal with a publisher. To me, this sounds like insanity. I appreciate these writers' work ethic, but sending out hundreds of letters and e-mails to literary agents is a waste of time and money, in my opinion. Looking for an agent, or an editor or publisher, should not be done as if one is using a shotgun ... a scattered effect to try to cover all possibilities. In my opinion, a search for an agent should be done as if using a scalpel, with very precise movements. For example, I'm currently writing fantasy. It would be stupid for me to approach a hundred different literary agents. There aren't that many agents out there who accept fantasy work. My guesstimation would be there are about 40 or so agents who will look at fantasy, and only maybe half of those have a focus on speculative fiction. I believe it's best to study agents, as you would any market, and find the right fit for yourself and your writing. Sending out hundreds of letters to just any old agent could easily land you a lousy agent. So far I've only tried to approach three agents. Two weren't interested, and one never replied. That's fine. That's the breaks. No hard feelings. Besides, I'm writing a trilogy, and while the first book is finished, I am still at work on the third (and some on the second). Once I am completely, totally finished with the trilogy, at the point I will get more serious about seeking an agent, but even then I'll probably only send out a dozen letters. If no one is interested, I'll try another dozen. Then, if no one is interested, I'll try another dozen. After that, I'll probably give up on the trilogy or consider self publishing. But even if my trilogy doesn't, I'll keep writing the next novel. And the next and the next. I will sell sooner or later. I'm getting better as a writer and editor all the time. I will sell. As if I don't have enough to do of late, I'm going to try to keep track of every book I read in 2007. I want to see about how long it takes me to read the books, what type of books, some little notes on them, etc. But, this information isn't necessarily for public viewing. It's not secret material, but it's mainly for me. Anybody who wants to read the material will have to go looking for it. I've created another blog page elsewhere, and there are ways to get to it, but I'm not giving away the URL or any other hints. So, let it be a game. Let it be annoying. Or just don't look at it. Again, this stuff is for me. Have fun searching! Welcome to 2007. My new year's resolution: Finish my trilogy, once and for all. Then start the next novel, preferably a stand-alone novel. I'll keep up my hopes for publishing, but I'll hold off using that as a resolution until next year. I've learned so much about writing in the last couple of years, just by the process of working on my trilogy, that my next novel or project should be so much the better. Myster writer JA Konrath wrote on his blog that it wasn't until his 9th novel that he sold one. I think Stephen King didn't sell a novel until something like his 5th or 6th. The great thing about a trilogy? I've already written three books. If they won't sell, then something down the road WILL sell. Happy New Year to all you writers out there!